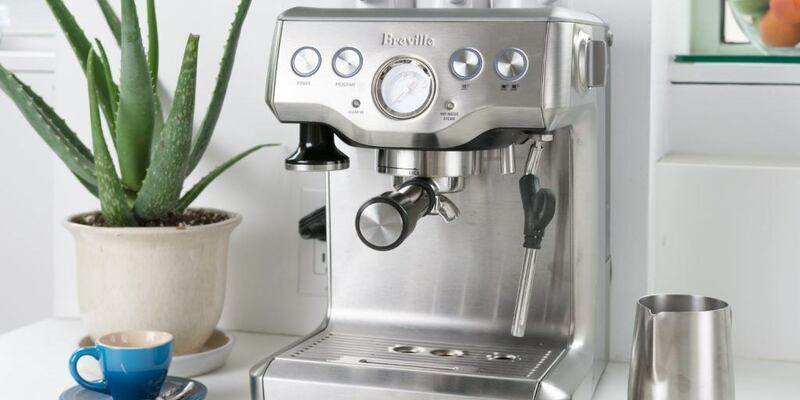 Top5 » Kitchen & Dining » Beverages » Should You Buy a Dual Coffee and Espresso Machine? Should You Buy a Dual Coffee and Espresso Machine? It can be pretty expensive to buy both a coffee maker and an espresso machine, particularly if you’re a coffee snob. How do you decide between buying the best coffee maker or buying the best espresso machine when you love lattes and a good ole’ cup of joe equally? Luckily you no longer have to. Thanks to the emergence of the dual coffee and espresso machine, you can now create coffee without limits. A combination coffee and espresso machine is the latest trend in home coffee brewing. These convenient kitchen appliances let you brew drip coffee and pull perfect espresso shots all in one. A quality two-in-one machine gives you delicious results and saves you money from buying two separate machines. It’s the perfect coffee or erspresso machine to start with if you’re just getting the into the whole home barista craze. What exactly does a coffee and espresso machine do? All coffee and espresso machine models let you brew drip coffee and espresso in the same place. 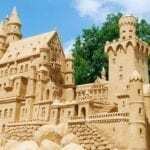 These machines come with a variety of different features depending on the model you choose. Some have steam wands attached to the sides so you can steam and froth milk for your lattes and cappuccinos. 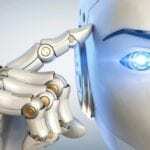 Other machines let you brew a 10-cup pot of coffee and pull a double shot of espresso simultaneously. 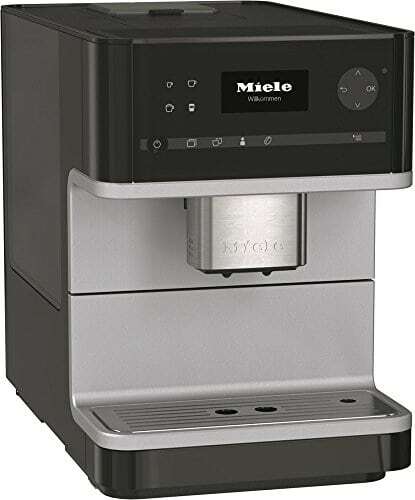 Some smaller machines brew just a single shot of espresso or a single cup of coffee from the same spout. When you’re a buying a dual coffee and espresso machine, it’s important to pick the model that works best for your lifestyle. Regardless of the model you choose, any coffee and espresso machine is a great choice if you’re worried about space. These handy machines are usually fairly compact. 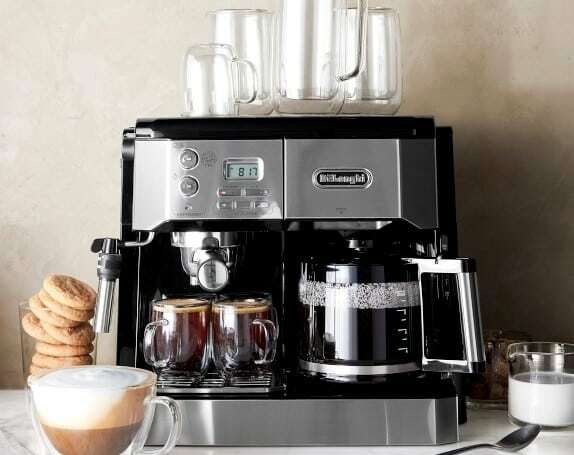 Even the larger models take up less space than two separate coffee and espresso machines would on your kitchen counter. 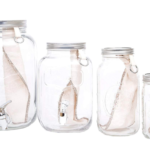 They’re also perfect for families or roommates with different coffee preferences. Some super convenient machines let you brew simultaneously so everyone gets their favorite morning drink. Even though a combination coffee and espresso machine can be a little pricey, they end up paying for themselves. Why choose between coffee or espresso when you can have both? Which combination coffee and espresso machine model is best for you? 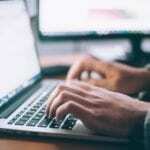 It really depends on how much coffee you want to brew, the different kinds of espresso drinks you like to make and whether you’re a fan of coffee pods or a coffee grounds enthusiast. To help you decide what kind of dual coffee and espresso machine is right for your kitchen, we’ve broken down some of the different models on the market. 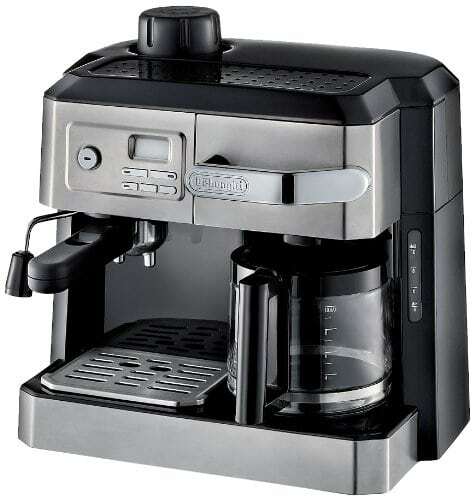 A single-cup coffee and espresso machine is ideal for solo and apartment living. It’s easy to use, affordable and very compact. These models only let you brew one cup of coffee or espresso at a time, but they brew quickly and easily. An espresso shot pulls in about 25 seconds. A full cup of coffee brews in under a minute if the machine is warmed up. 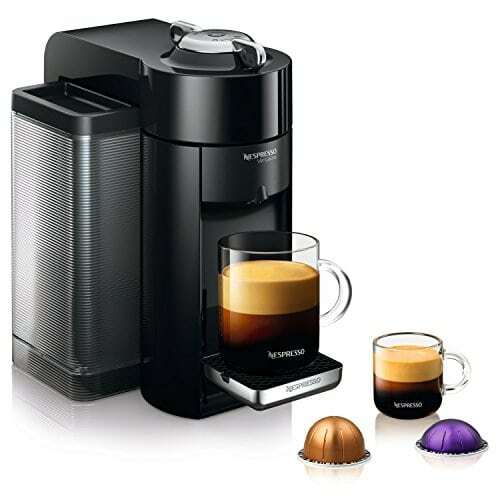 Most single-cup coffee and espresso machine models, like the N’espresso one picture above, use coffee pods instead of freshly ground coffee beans. To brew, all you need to do is insert your pod of choice and press a button. While serious coffee lovers might argue that coffee grounds give you the best flavor, coffee pods make it easier to switch between coffee or espresso without cleaning up in between. The downsides to these models are that you don’t get a steam wand and can only brew one cup at a time. You can, however, switch between different mug sizes. If you prefer black coffee or don’t mind topping your espresso off with cold milk, this model will work just fine. When you imagine a dual coffee and espresso machine, this model probably comes to mind. It’s the most straightforward model and gives you more control over how you like to make your espresso drinks than super-automatic machines. You can brew a 10-cup pot of coffee and pull a double or single espresso shot all at the same time! You also get a built-in steam wand to make the perfect foam for your lattes and cappuccinos. This model is great for roommates or large families. Everyone gets their favorite morning brew with this handy coffee machine. While these models vary in price, most are super affordable. The Delonghi model pictured above retails for under $200. If you’re willing to pay the high price tag, a super-automatic, single-cup coffee and espresso machine is one of the best models you can buy. These high-end machines retail for over $1,000, but you’re paying for convenience and quality. You can brew delicious lattes and cappuccinos with the touch of a button or even brew a pot of tea using the hot water spout. No kettle needed! 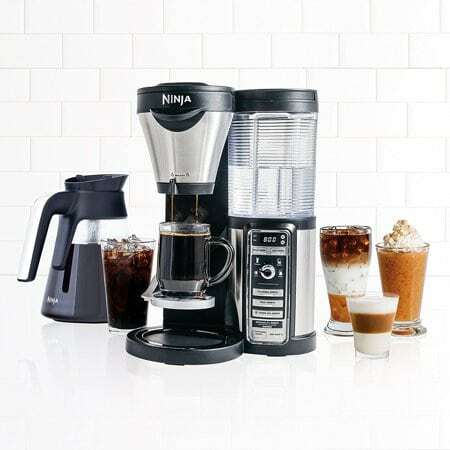 Super-automatic models come with a control panel where you can choose between a variety of popular espresso drinks or brew a whole pot of regular coffee. Most models even come with a built-in grinder for the perfect-tasting brew every time. The best part? You can adjust the strength of the coffee or espresso and even save your drink preferences under a user profile. Looking for a machine that lets you brew coffee and espresso without limits? If your answer is yes, a multi-use bar system is the perfect model for you. You’ll never need to visit a coffee shop again when you have this amazing coffee and espresso machine at home. This model uses coffee grounds so you can choose your favorite beans. The thermal extraction technology gets the best flavor out any coffee or espresso beans. Brew a single cup or an entire coffee pot with ease. You can also brew hot or cold specialty drinks with just the touch of a button. The built-in, high-tech, steam wand froths milk into the perfect foam within seconds for you. Iced coffee, lattes, cappuccinos, espresso… This machine can do it all. Is there a difference between coffee beans and espresso beans? Technically no. While brands do advertise beans as coffee or espresso, the difference really lies in the brewing method. If you want the best coffee or espresso, though, stick with beans roasted specifically for your preference. Espresso beans are roasted for longer to bring out a stronger flavor. If you use regular coffee beans to brew espresso you might end up with a much lighter shot. It’s important to know whether you want to use pods or freshly ground beans in your machine. Most combination machines only use one or the other. The debate over which is better is really just a matter of personal preference. Yes, freshly ground beans taste, well, fresher, but pods make cleaning up a breeze. According to Forbes, Kona beans are the best you can buy. There’s no such thing as a bad cup of coffee when you’re using Kona beans. Just make sure you’re buying the Koa brand. You’ll find a lot of other brands selling “kona beans” but they’re often blended with lower-quality beans without adjusting the price tag. 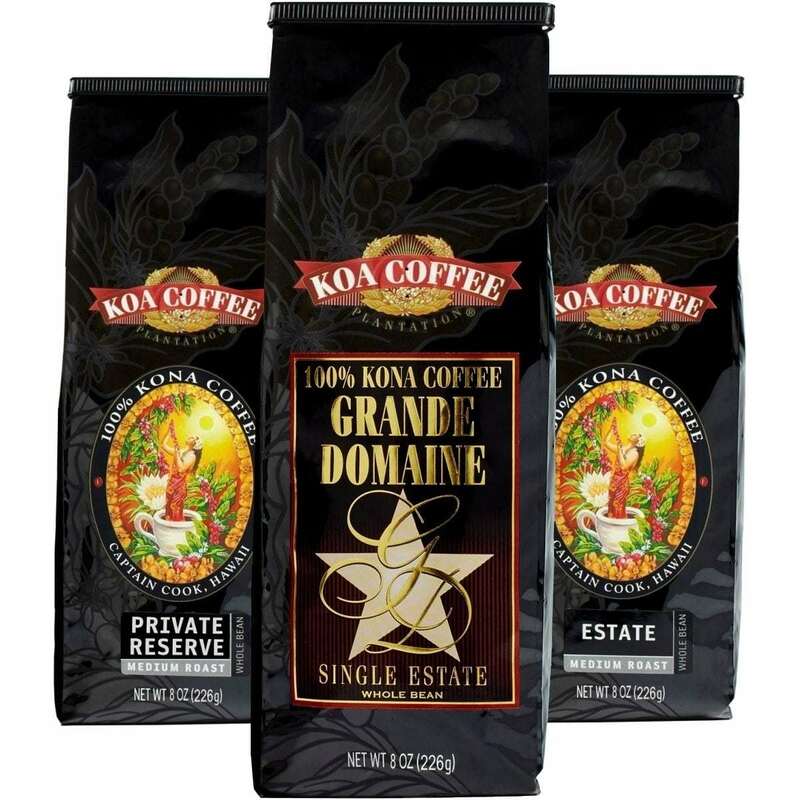 Koa coffee is grown on the big island of Hawaii at high elevation, in rich soil and with plenty of sunlight. The result is the smoothest brew you’ll ever have, with not even a hint of a bitter aftertaste. You’ll never want to drink another cup of coffee other than Koa again. If you’re a fan of espresso, it’s likely you love a strong brew. 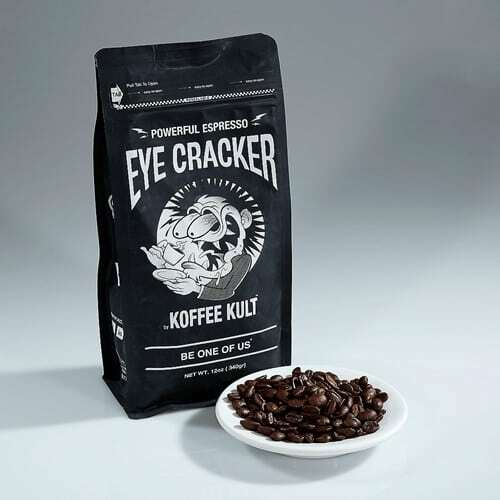 Koffee Kult’s powerful espresso beans are some of the strongest and best-tasting on the market. The packaging says it all. You’ll be buzzing and ready to take on the day after a shot of this delicious espresso. Koffee Kult espresso is a blend of beans from Kenya and Central America. This medium-bodied espresso is naturally sweet with notes of caramel, tangerine and cherry. You get maximum caffeine and flavor all in one cup. 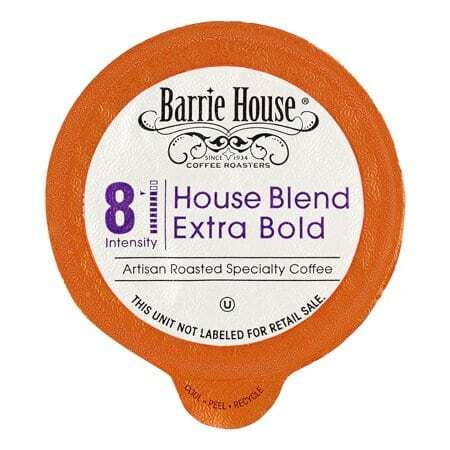 The House Blend Extra Bold Pods from Barrie House are some of the best-tasting according to numerous reviews. It has a strong flavor with a smooth finish and notes of dark cacao and toasted nuts. Barrie House coffee is fair trade and organic and tastes freshly ground even though it isn’t. 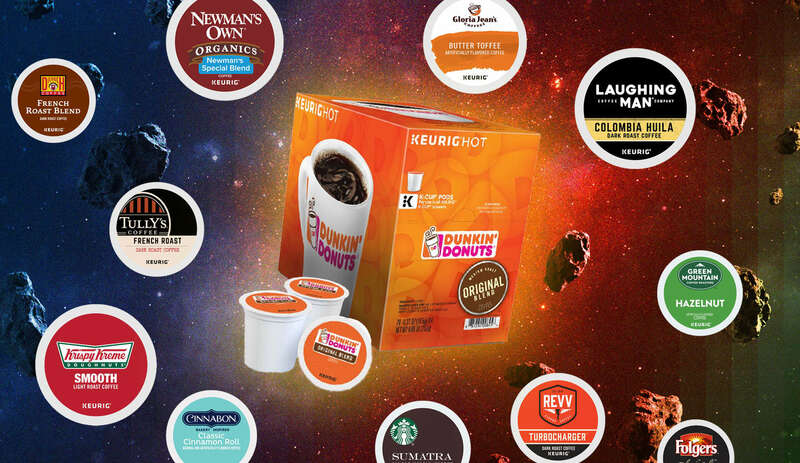 If you’re not convinced, check out all of the rave reviews for this delicious coffee. You really can’t go wrong with Barrie House. Even their espresso capsules are the best on the market. 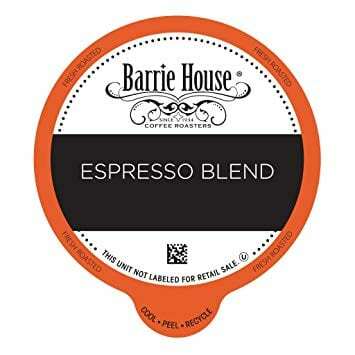 Barrie House espresso is made from the top 1 percent of the finest Arabica coffee. It’s organic and fair trade and all the capsules are recyclable. The espresso pods are packed with the exact amount of perfectly roasted espresso to get the best crema every time.